If there’s one thing I’ve learned from working with kids off and on it’s that they are all liars. Then again, are you really a liar if you believe what you’re saying? The whole reason children lie in the first place is because everything in the world is so new to them. They take in so much more information with far less context. They’re bound to believe things that don’t make sense to adults. And it’s this naivety that is part of the reason The Spirit of the Beehive is such a great film about children. It takes on that blurred perspective of the world through the eyes of a child. Also, it has a Frankenstein. Big points for a Frankenstein. I found this film in the place where I go for most of my film recommendations, MTV.com. Not sure why this exists but in 2013 film critic David Ehrlich of Indiewire and the podcast Fighting in the War Room wrote an article for MTV.com called “The 50 Best Criterion Collection Releases”. A solid list, but it was his entry for this 1971 Spanish Drama that grabbed me. Particularly, when he said “Without ‘The Spirit of the Beehive there probably wouldn’t be a Guillermo Del Toro (I’ll leave judgments as to the severity of that hypothetical tragedy up to you). I love Guillermo del Toro. He is one of my all time favorite filmmakers and to think someone was making films in the same vein as him in the 1970s? I had to see it. Not to mention it’s a movie strongly focused around the 1931 Universal Classic Frankenstein. 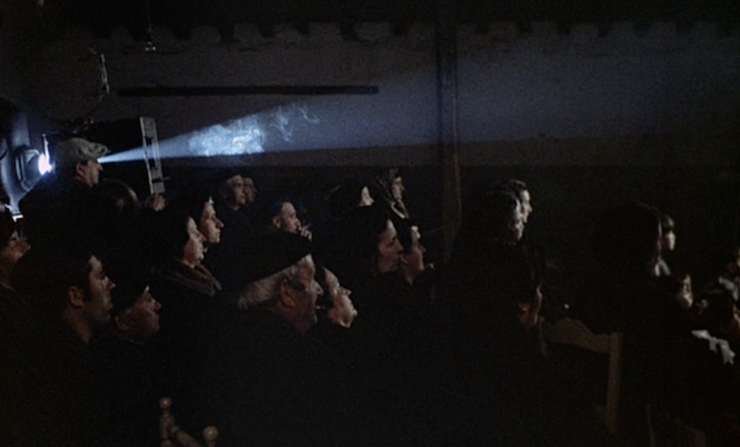 The Spirit of the Beehive is set in an isolated Spanish village in the year 1940. The Spanish Civil War has just ended and the Francoist military has defeated the Republican forces. I didn’t realize until recently that from the mid-1930s to late 1970s, Spain was basically a dictatorship. Francisco Franco was not a good man. He was cruel and repressive, so much so that saying anything critical of him or the government could lead to dire consequences. Which is crazy because this is an anti-Franco film. 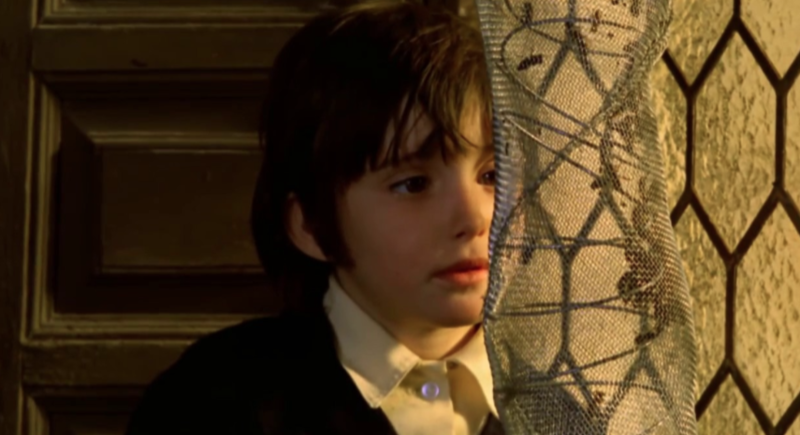 It sounds like writer/director Victor Erice was able to slip The Spirit of the Beehive through the cracks by obscuring the film with visual symbolism. So the censors didn’t pick up on many of the subtle jabs out how Franco was turning Spain into a poor, abusive, and overall sad place to live. I didn’t catch all of the symbolism but I certainly feel something under the surface. The film is about a girl named Ana (Ana Torrent) who is six-years-old and lives with her slightly older sister (Isabel Telleria), her bored mother Teresa (Teresa Gimpera) and boring father, Fernando (Fernando Fernán Gómez) a beekeeper, in a decaying mansion on the edge of nowhere. 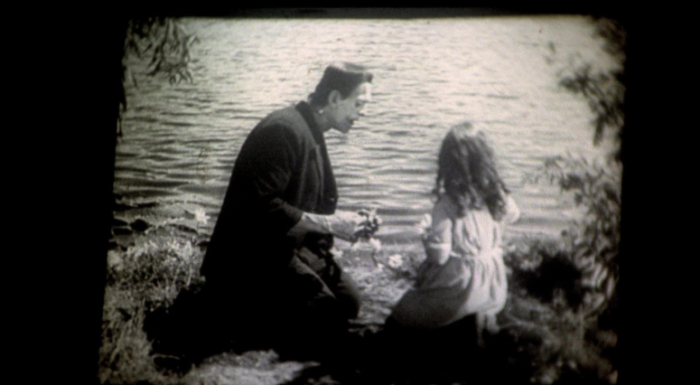 One day, a mobile cinema comes to town for a public screening of Frankenstein. 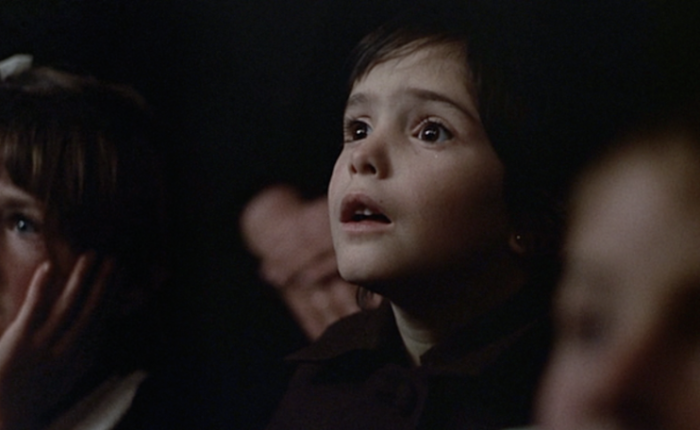 All the children flock to the makeshift cinema and cheer and yell over the excitement of the film, but Ana experiences something deeper. Ana is terrified of the monster, particularly when he kills the little flower girl, but more so feels sorry for him. What does this lonely monster represent? Why does he do the things he does? Is he real? These are all questions that plague Ana’s mind and so begins her search for the truth. Meanwhile, Teresa and Fernando have grown distant. Fernando, uninterested with the outside world, is caught up in his work with bees nature and reading books in his dusty office. Teresa, on the other hand, resents the fact they have to live in their distant crumbling house. She feels cut off from civilization and begins a love affair by writing letters. One night, as Ana and Isabel go to bed. Isabel tells Ana the monster from the movie is real and lives in a sheepfold (kind of like a shack for livestock) on the outskirts of town. See, kids are liars. Ana visits the sheepfold on a daily basis hoping to catch a glimpse of the monster. She does meet someone one day, but it’s no monster. It’s an injured Republican soldier (Juan Margallo) on the run from the Franco’s. Ana brings the solider, who she never speaks to, food and water. It very much reminds me of the relationship between the monster and the blind man in Bride of Frankenstein. I can’t help but feel that was the idea. It really is a perfect metaphor. A solider who is misunderstood as the enemy, helpless and alone, only looking for his place. This being a foreign film you can probably guess that this plot doesn’t pan out well for anyone. That’s the most in the way of a “plot” this film has. 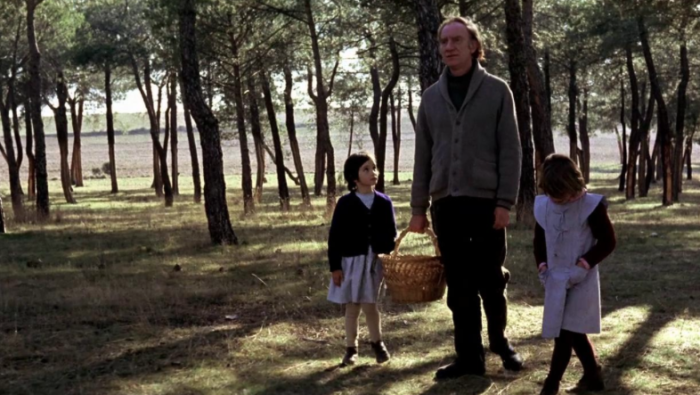 The rest is mostly scenes of Ana in school learning about things like anatomy, or studying nature with her father. Even the father and mother’s relationship finds no more than a lukewarm resolve. Much like life, nothing ever quite works out the way you want it to. And yes, this film does cash that Frankenstein check with a monster dream sequence. Guillermo would be proud. I can’t say much for the film’s enigmatic director. 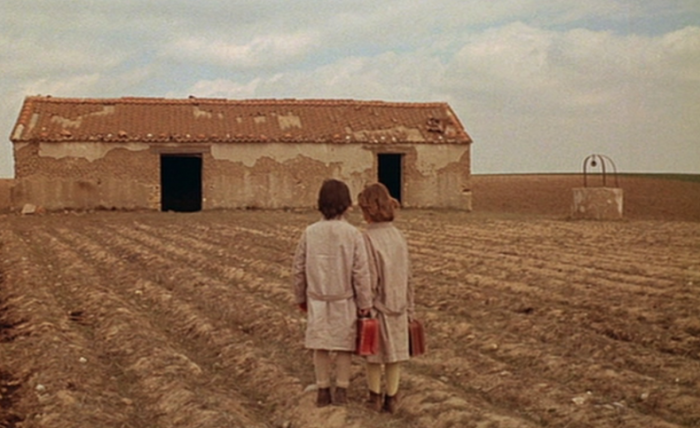 Victor Erice makes Terrence Malick look like an assembly line factory when comparing their careers. Over the course of fortysomething years, Erice has only directed three feature films and a few shorts. All of those feature films are in different decades and are all slow, methodical reflections of life. It’s a pleasing style that feels as beautiful as but more human than Malick’s oeuvre. I can’t wait to see other works from Erice. I think I can manage two more films. I’d highly recommend The Spirit of the Beehive. Whether you’re a fan of Spanish history, Frankenstein, or feel the need to harken back to the naivety of youth. This film has it all in a beautiful package you’ll be unwrapping for years to come.